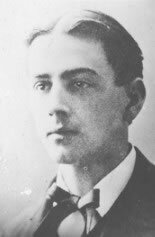 Tom Thomson, one of Canada’s most influential painters of the 20th-century, was last seen alive around mid-day, July 8, 1917, when setting out alone across Canoe Lake to begin a fishing trip. He was familiar with the area, having visited there a number of times – while working in the Park as a fire ranger, a guide for fishing parties, and of course, pursuing his painting. Within hours of his departure, his empty canoe was spotted floating not far from the dock he had left from, and more than a week later, his body surfaced in the lake. His untimely death helped transform the aspiring artist into a cultural giant. His paintings are now seen in galleries across Canada, and exhibitions of his work always attract large audiences. In the last few years, paintings by Thomson have fetched over a million dollars at auction. Could it be that Algonquin Park, and Canoe Lake, were more dangerous than they appeared in Thomson’s paintings? As investigators began to consider the artist’s mysterious death, popular ideas of a peaceful, harmonious, natural parkland began to evaporate. The region bore the marks of intensive logging – treacherous stumps and logs lurked under the water’s surface. Could one of these have tipped Thomson’s canoe, resulting in his drowning? Could his death have resulted from something even more frightening? The abundant wildlife the Park helped protect presented a tempting target for poachers, who might be willing to go to extreme ends to hide their illegal activities. Could the trains coming through the Park, carrying troops and goods important for the war effort have attracted spies and saboteurs desperate to hide their subversion’s? The isolation of the Park might also have attracted Canadian and American men attempting to avoid fighting in the war. How far might one of these men have gone to maintain their anonymity?